The critical position that some architects adopted in the last decades of the 20th century to attack the historicist character of the postmodern architecture, was sustained by a theoretical complex reasoning that was represented of multidisciplinary concepts arisen from the posestructuralismo, principally from Jacques Derrida’s texts. These architectural reflections investigate the definition of the physical space by means of a process that analyzes the differences between meaning and significant, but in addition it examines from a singular point of view the absences of the present structures and the present tracks of the absences. 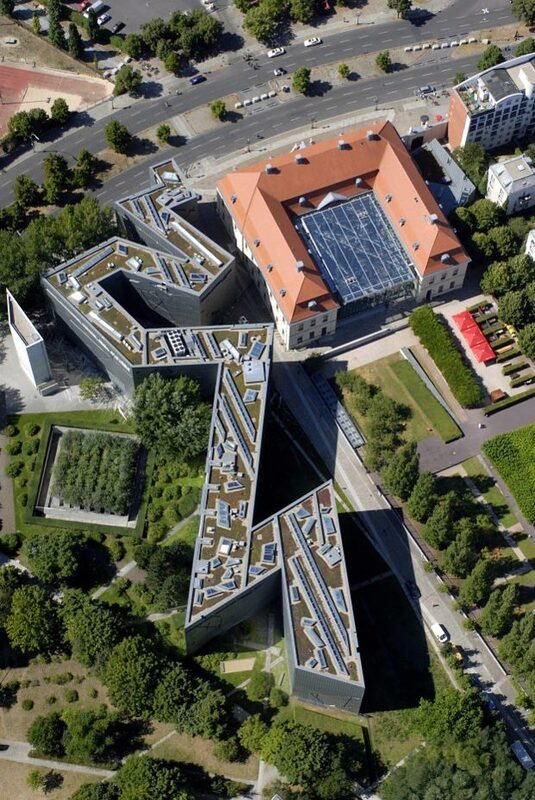 Daniel Libeskind’s Jewish Museum Berlin is one of the most representative examples of this process of thought. 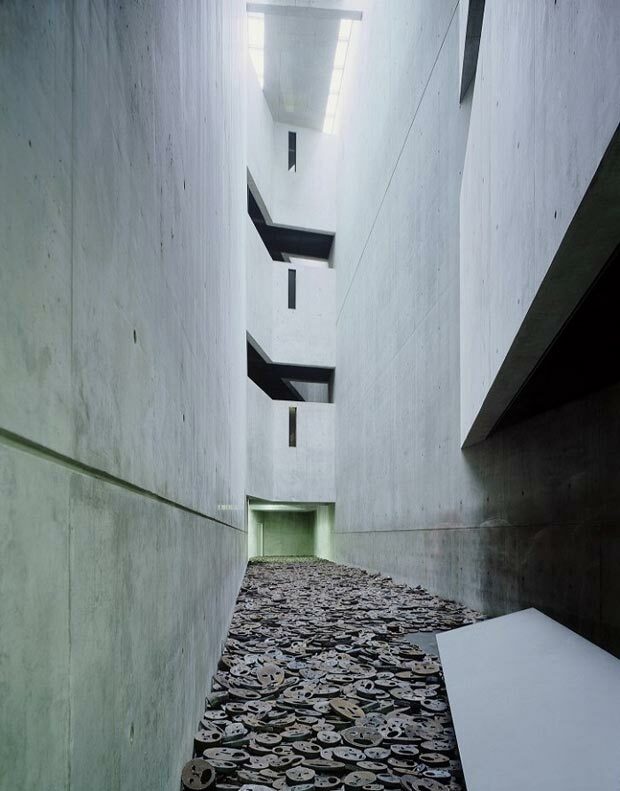 For Libeskind, the architecture is a communicative art, a narrative process that happens with the material production, and in this case formal language remains established by means of an intricado. Both in the surrounding one and in his interior there spread indications that reveal the importance of the Jewish community in the history of Berlin and fundamentally the horror of the holocaust that eradicated it. The distinctive outline turns out to be a mute, tensed and monumental space that splits his presence in the spirit of the museum and crosses it in all his length. 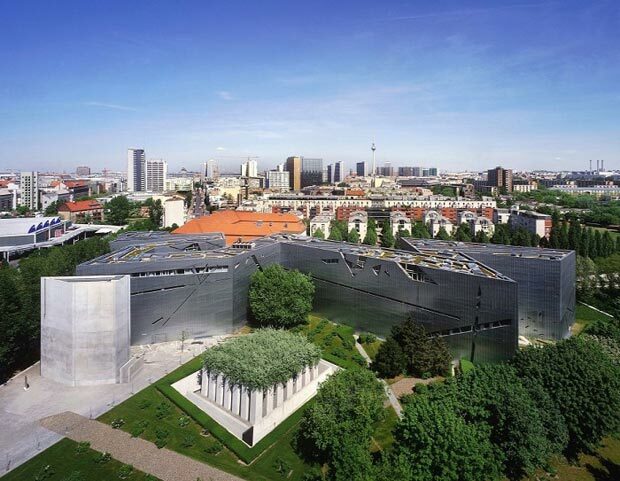 The project of the Jewish Museum Berlin plans two lines of organization and relation: a straight line that breaks in numerous fragments and a zigzagueante that can continue indefinitely. Both appear as elements that they separate and untie between yes, constructing the empty and discontinuous space that crosses the museum. To give entity to this process, the design recognizes several structuring aspects. 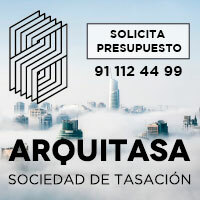 The first one proves on having determined that the physical vestiges are not the only guideline to continuing in the development of the project. Libeskind constructs a “irrational counterfoil” by means of a system of interlaced triangles that refer to a compressed and distorted star. Understanding that certain writers, composers, artists and poets were acting as link between the Jewish tradition and the German history, it planned on the plane of the city binding lines between the sites where different personalities lived, generating a “singular constellation of the urban and cultural history of the universal history”. 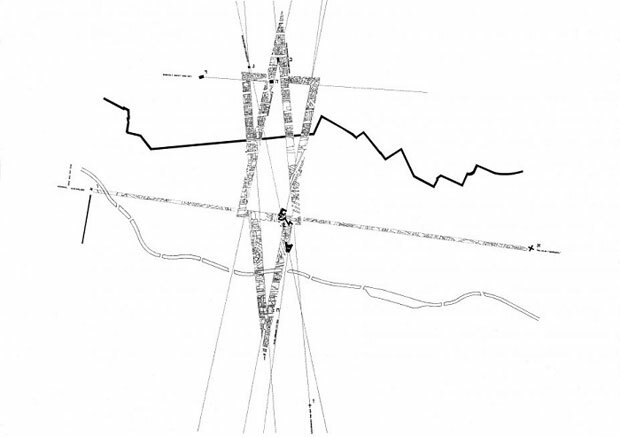 Other referential aspects base on the incomplete work of Arnold Schönberg, Moses and Aarón, who outlines the relation between the revealed truth and the truth transmitted orally, and on Walter Benjamin’s work “One Way Street”, represented along the zigzag. The museum coexists with a former baroque building where one finds the access to the new structure. A stairs drives towards an emptiness created under the foundations that allows to find his three axial routes. The most extensive drives to a stairs called of the continuity, which ascends crossing the spaces of exhibition up to reaching the highest point of the building. This space symbolizes the continuity of the history. The second axis drives to a garden without exit where one finds a bucket shaped by seven columns of every side and a sloping floor that it makes tortuous travel the space, a subtle representation of the exile as a prison without doors. The third party consists of an area of exhibition that only shows in one of his sides a small door of black color. This door drives to a dark room of 24 meters of height, scarcely illuminated by a split of light that filters from the exterior, tower called of the holocaust. The emptiness that crosses on line straight line the whole length of the zigzag is crossed in the second and third level by small bridges that connect different rooms. The tour presents a series of spaces to which it is not possible to accede, spatial representation that accentuates indications and absences. Externally, the new museum equalizes the height of the existing building, supporting the existing trees in the site by means of skilful strategies of design. The front is covered with steel and his color changes for effects of the oxidation. Every opening realized in the skin answers to the linear counterfoil that links the directions of Jewish personalities.